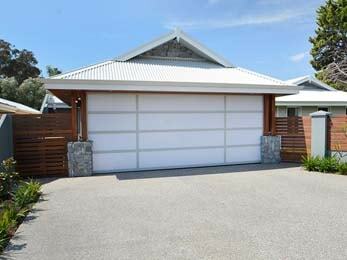 Functional carports designed and built to give protection and add style. 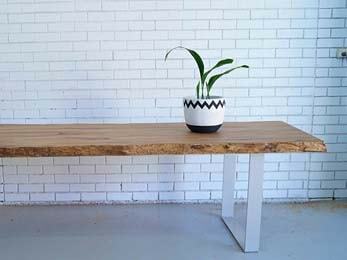 Single or double to suit your space and requirements. More details about our carports are here. 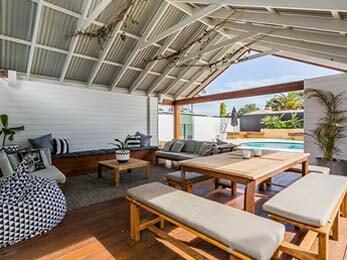 Extending your living area and taking advantage of the Perth weather doesn’t get much better than with patio living. To learn more about Platinum Outdoors patio building here. 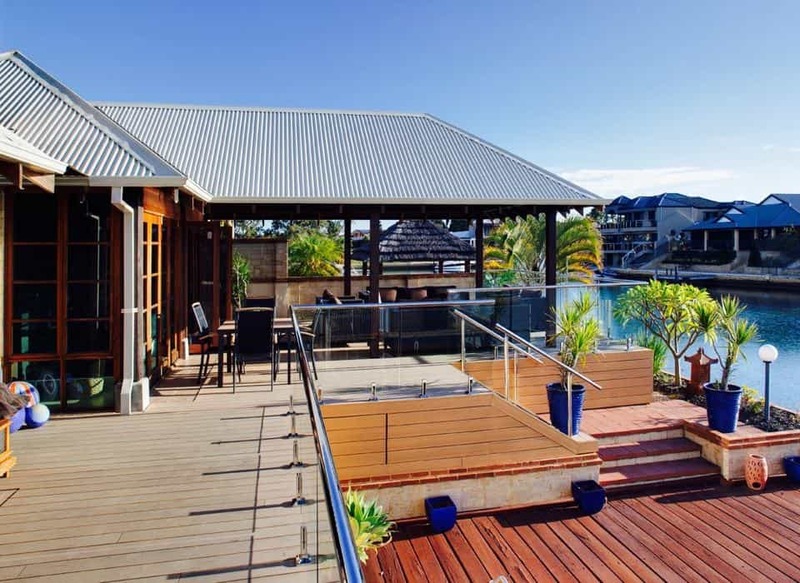 For verandahs, pool and spa surrounds and patios, timber decking adds so much to your home. At Platinum Outdoors, we are outdoor living enthusiasts. 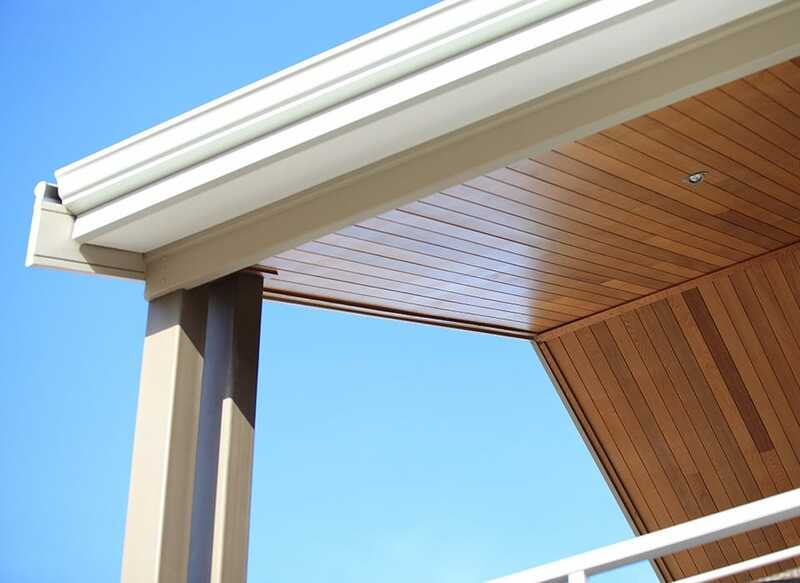 Every product we deliver and service we provide is designed to beautify and enhance your property’s exterior. We take pride in our ability to help our clients create the garden and outdoor spaces they’ve always dreamed of owning. 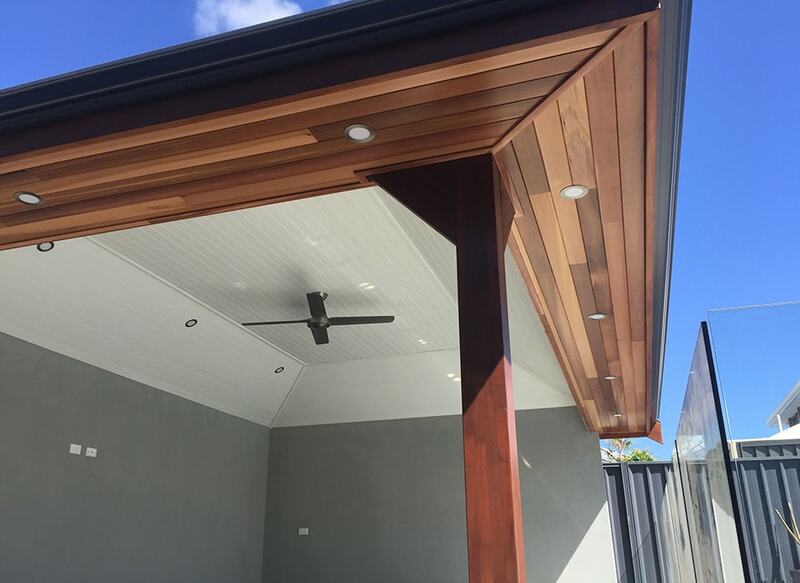 Thanks to the diligent work of our patio builders, you’ll get years of enjoyment from your carport, timber decking, landscaping and, of course, patios in Perth. Our team serves the entire Perth Metro area. Every project we work on begins with an innovative, bespoke design that reflects the specific needs and practical considerations of your property. Our builders deliver only the highest level of craftsmanship, and they are experts in managing projects on time, within a predetermined budget and according to our customers’ strict requirements. The truth is, we wouldn’t have it any other way. If you are interested in adding a patio to your Perth property or improving upon an existing one, all you have to do is give us a call. Given the extensive number of patios we’ve worked on in the area, we’ve refined our process down to an art form. Our experts will be at your side every step of the way to make sure that the final patio we hand over to you exceeds your every expectation. All you have to do is give us a call on 0402 144 093, and we’ll dispatch a representative to your residence – usually within a week. That person will discuss your requirements and concerns at length and in person to ensure that we fully understand the scope and nature of your project. This also gives us a chance to take any necessary measurements so that we can commence with the design process. Once we have completed the design process, we’ll provide you with a written quote and await your approval. Once you give us the green light, we launch into action. We’ll begin the process of obtaining council approvals and have your plans structurally engineered. Whilst waiting for final approval, we’ll remain in consistent contact with you to keep you up to date on the latest developments. 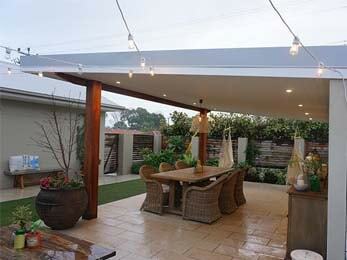 Once council approval has been secured, we won’t waste any time getting started on your patio in Perth. We’ll coordinate delivery of your materials so that they arrive at a time that’s convenient for you. And when it comes to installing your patio, we won’t rest until you’re satisfied. 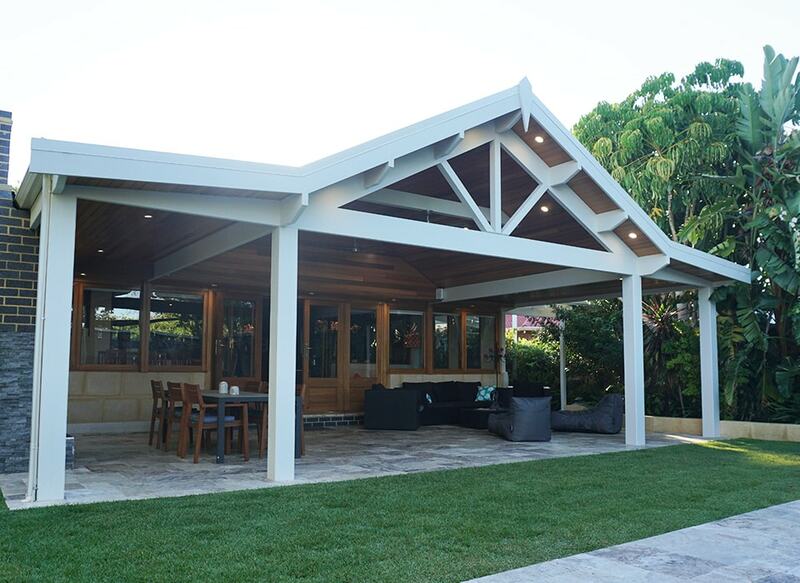 If you’re ready to beautify your outdoor space with a new patio, alfresco area, decking or carport, please don’t hesitate to get in touch with us. Our building process is efficient, reliable and designed with your convenience in mind. After a free, no-obligation consultation and quote, we’ll set to work transforming your backyard into the outdoor living area you’ve always wanted. By maximising your outdoor area and designing it to complement your home, Platinum Outdoors makes your outdoor area an oasis. For the families and the entertainer’s dreams, we love to add functional and beautiful timber accents. From laying a simple patio in Perth to a complete exterior renovation project, including extensive landscaping and hardscaping, our team can handle jobs of all sizes and levels of complexity. Because we genuinely enjoy what we do, we will make your outdoor project something to really look forward to rather than an unpleasant ordeal. 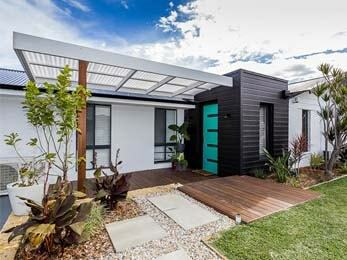 The most important stage when renovating your backyard is the initial planning stage. 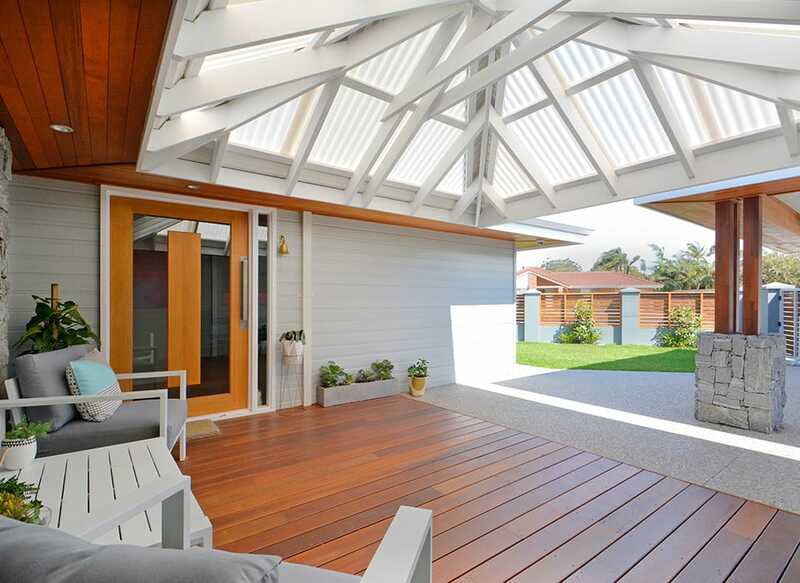 This is when you decide what features you would like to include in your design: outdoor patios, soft buffalo grass lawns, and timber decking in Perth are all popular choices but you can have anything you like of course. Whatever features you want, our team of talented professionals will ensure they can be seamlessly integrated into the overall design. 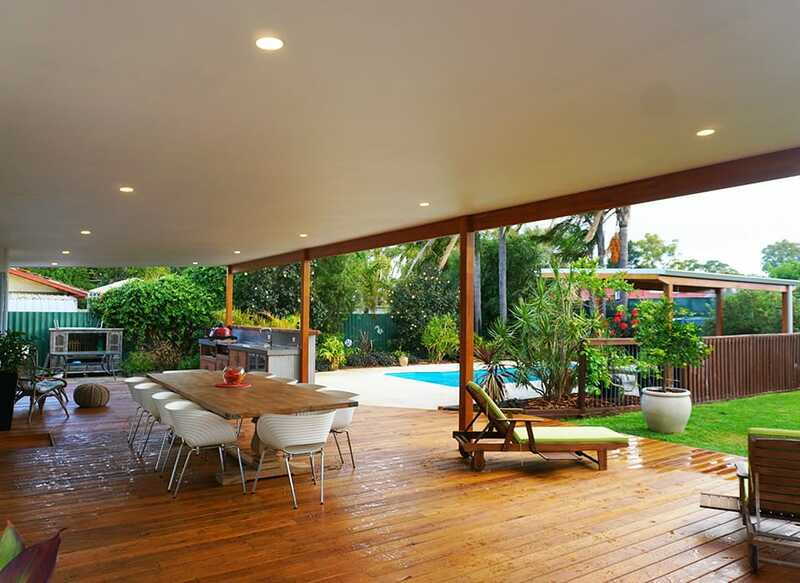 We have a great deal of experience in renovating outdoor spaces in Western Australia and an unrivalled record of achievement so you can trust us to do a first-class job that meets all of your needs. Once we have produced a plan that you absolutely love, quoted you a price you are happy with, and obtained any necessary council approvals for the work you would like us to perform, it is time to start turning your ideas into physical reality. 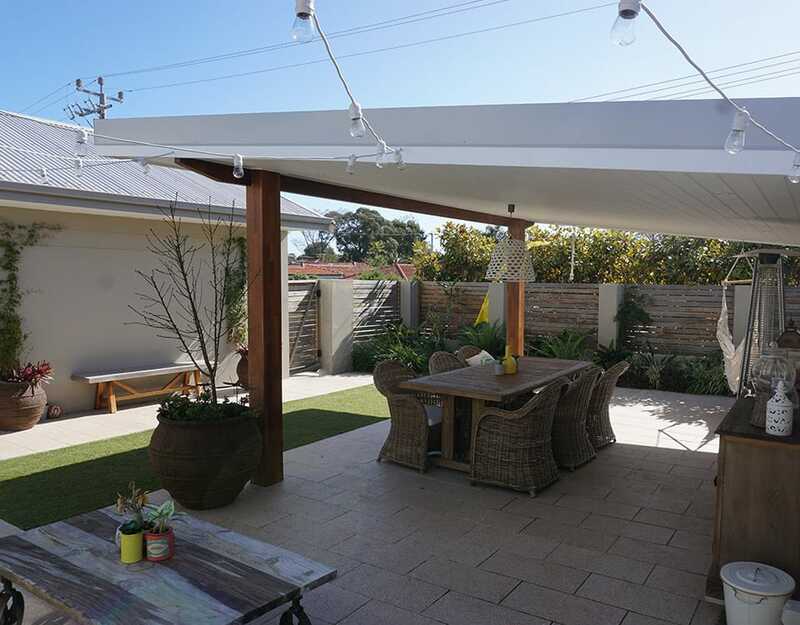 When working on projects that include a significant amount of hardscaping, such as carports, decking and alfresco patios in Perth, the first thing we will do is to organise a delivery schedule for all the materials we are going to need. Having done that, we will start work on any landscaping that needs to be completed first, while consulting with you on a regular basis to ensure that you are happy with everything we are doing. The last stage of any job that we undertake, whether it involves hardscaping and structural elements such as patios and carports, or just landscaping and planting, is to inspect all the work that has been completed, to make sure it is perfect. As far as we are concerned, a job is not truly completed until you are 100% happy with the results. 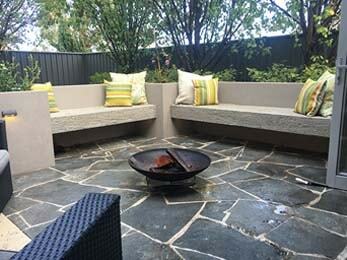 If you would like us to transform your backyard into a beautiful space this year, call to discuss your needs today.